I now know it was you, Larry. Leaving HQ the other day, this is the scene which greeted me. Our Lady of the Pentacle spotted this tableau separately. Astoria, Queens is a place full of mystery, but you can’t beat the “block watchers” when you’re playing detective. 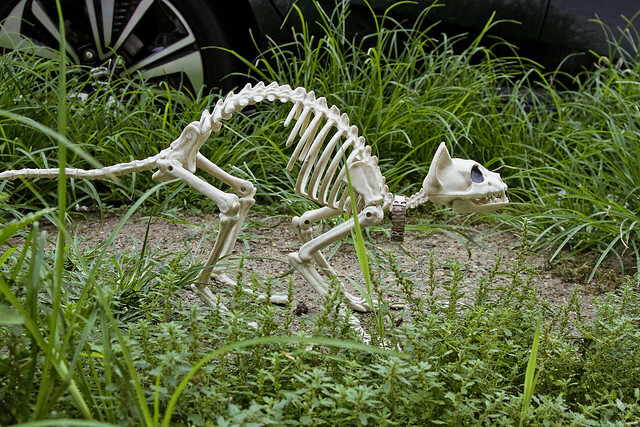 On Saturday late afternoon/evening, while enjoying a few pints of beer at the “local” with some of the local commentariat, we put our heads together and pieced together the story of a skeleton cat wearing a collar that read “heartbreaker” which appeared in front of my door. My neighbor Kenny, who is in many ways the adult man that Nelson from the Simpsons (the haw haw kid) would grow up to become, provided many of the individual pieces of the puzzle. 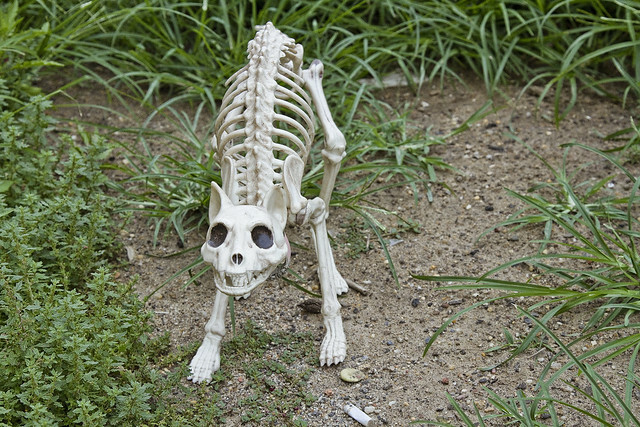 He described seeing an affable fellow named Larry emerge from his building with the skeleton cat in hand, who thereupon placed it on the sidewalk with the intention of letting it find a new home. Another neighbor described the Cat being picked up by ready hands and then abandoned again. It seems to have moved up and down the block a few times before coming to rest in the tree pit in front of HQ, one building lot from its original placement by the aforementioned Larry. Heartbreaker apparently made it most of the way up to Newtown Road from the Broadway side of the block before track of it was lost. 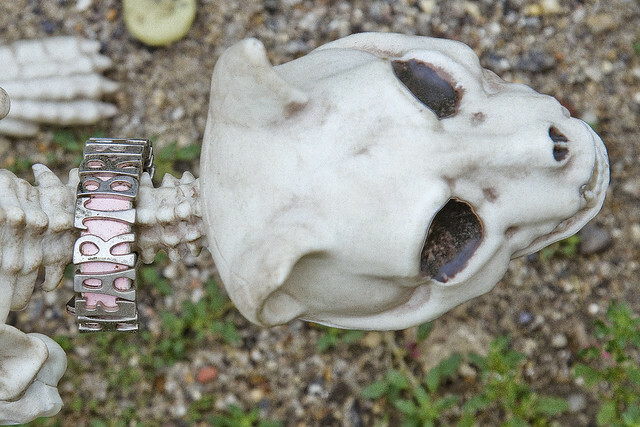 Having satisfyingly assembled the origin and travels of the thing, discussion of the articulation and manufacture of the skeleton cat ensued. Such are the minor points of interest upon which the neighborhood grinds away, here in Astoria. Whether or not Larry was the original owner of the thing, I cannot say, and speaking for the community – we’ve lost interest and moved on to other topics. The possibility of having a block party during the late summer months came up, whereupon everyone turned to me in pursuance of getting a permit for said function.